SNAFU! : M1A2 SEPV3 hits deck...Macgregor is not happy! M1A2 SEPV3 hits deck...Macgregor is not happy! The first of a batch of upgraded M1A2 Abrams tanks has hit the Army, with more improvements coming in the next few years. Earlier this month, the first of six M1A2 System Enhancement Package Version 3 Abrams tanks rolled off initial production at the Joint Systems Manufacturing Center in Lima, Ohio, the Army announced. These are the first upgrades to the Army’s 1,500-tank fleet. They fall in line with overall Army plans to enhance lethality and improve its ground combat systems, preparing them for potential fights with near-peer adversaries. Another such improvement was the recent addition of a 30 mm cannon to many of the Army’s Strykers, which began deliveries last year. “This version is the most modernized configuration of the Abrams tank, having improved force protection and system survivability enhancements and increased lethality over the M1A1 and previous M1A2 variants,” said Lt. Col. Justin Shell, the Army’s product manager for Abrams. The version three enhancements address on-board power, electronics, computing, weapons, force protection and sensors. They are primarily a bridge to the version four variant planned for the 2020s, Program Executive Office-Ground Combat Systems spokeswoman Ashley Givens told the media. I'm of the opinion that this is a common sense approach to our armored force. If you look around the globe you're not seeing any breakthrough in performance, just evolution. As awesome as the Armata might be its still a variation on the theme, nothing revolutionary. A cautionary tale worth remembering: HMS Hood was the last battlecruiser built for the Royal Navy. Commissioned in 1920, Hood had design limitations, though her design was revised after the Battle of Jutland and improved while she was under construction. Despite the appearance of new and more modern ship designs over time, Hood remained the largest and most powerful warship in the world for twenty years after her commissioning. On 24 May 1941, 8 minutes after the first shot was fired in the Battle of the Denmark Strait with the German Battleship Bismarck, Hood was struck by several German shells, exploded and sank. Due to Hood’s perceived invincibility, the loss affected British morale. It’s time for new warfighting equipment, not upgrades of old designs. The Army is sinking money and resources into old solutions designed in the 1970s. The handwriting is on the wall. Our soldiers will man the land equivalent of Hoods. I'm not looking to cross swords with ole boy, but I wonder if his complaints are valid. Quite honestly I think they're overblown. Could he have fallen into the trap of having made his name with innovative thinking and because of that "rep" he's always having to push the envelope in order to remain relevant? I consider that a cautionary tale for all "innovators" (and I can fall prey to it too). You have to honestly look at the landscape, the current state of the art, near term breakthroughs and threat weapons to properly determine whether a weapon system is viable. 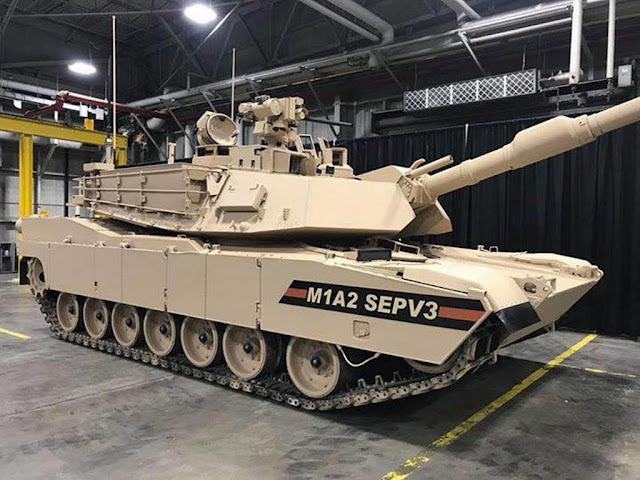 I think the upgrade path of the M1A2 SEPV3 and later SEPV4 will keep the US Army's armored force in the lead or at worst equal to the threats they may face. Macgregor needs to reconsider his critique.